I would like to start by letting all of our members know that you are invited to attend our Annual General Meeting in Toronto at the Marriott Courtyard Hotel on the East side of Carlingview Drive just south of Dixon Rd. The date is Wednesday May 22 and full details appear later in this newsletter. The AGM at 1 p.m. will be followed by a Board meeting of the newly elected Board members and chaired by the new Chair of the CSBC. On a recent weekend I was working in a booth at the Toronto International Sportsmen’s Show and while I was there I was surprised by the lack of boating safety messaging in booths that were promoting the sale of boats, canoes, kayaks, stand up paddle boards and related marine equipment. When I asked sales people in many of these booths they had no idea about safety equipment requirements. This is one of the very reasons why the CSBC developed the Safety First Marine program, so it is clear that our challenge is to spread the word to organizations and user groups beyond the marina members’ associations. On the bright side Spring was in the air and people were looking forward to summer on-the-water activities. As we approach National Safe Boating Awareness Week in May we all need to be thinking about how we can best promote boating safety to the members of our own organizations. A new growing challenge this year will be to find ways to expand the “Don’t Drink and Boat” message to include not boating while under the influence of legal drugs. 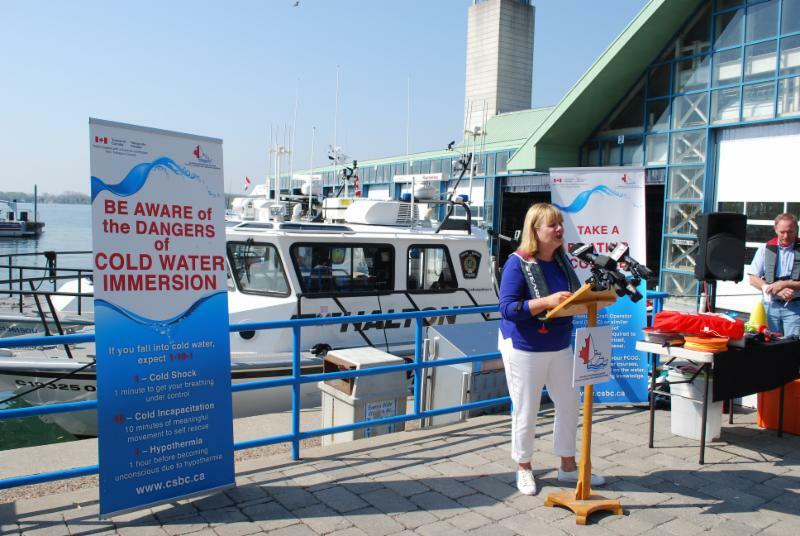 The CSBC has already begun expanding the “Don’t Boat Under the Influence” message along with our traditional messages on wearing your PFD or lifejacket, you and your vessel being prepared and understanding cold water immersion. It is time to start thinking now about this summer’s activities, and don’t forget to plan on attending this year’s annual Symposium, to be held in Port Credit. It will have an interesting focus on the sharing of our waterways by all types of vessels and their operators. Stearns/Coleman Canada special offer – now 40% off! We have mentioned this before – but it bears mentioning again. All CSBC members can take advantage of the Stearns/Coleman Canada special discount offer of 40% off all online purchases of Coleman and Stearns products through the Coleman Canada website! 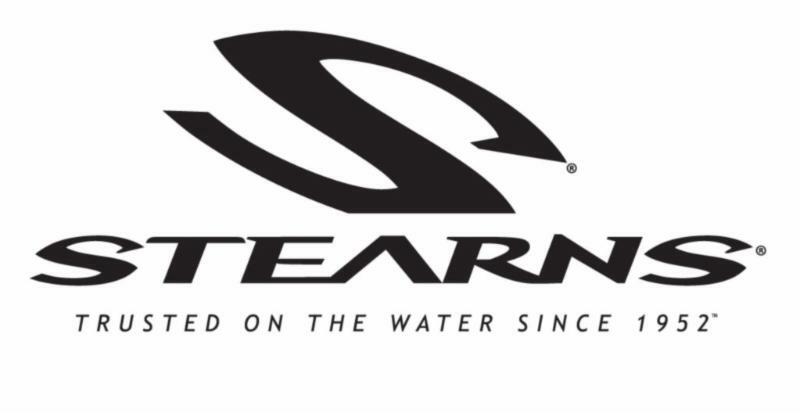 Also included are exciting PFD and lifejacket offerings from Stearns (click on Stearns logo at top of Coleman web page). To clarify, if you are a Group member, that means that all your association’s members or your company’s employees, as the case may be, are eligible to use this discount offer. Current CSBC Group and Individual members will have received the password required to obtain the discount. Contact membership@csbc.ca if you didn’t get yours. This year a major feature will be the expanded focus for the former key message, ‘Don’t Drink And Boat’ which has been rebranded to ‘Boat Sober’. This rebranding is to recognize the legalization of cannabis and also to expand it to include prescription drugs that can cause impairment. Confirmed SBAW launch sites include Vancouver, Victoria and Toronto. Also expected will be Nelson, B.C., Winnipeg and Montreal. Both Vancouver and Victoria are planning a ‘ready set inflate’ event and Toronto is expecting to announce a new partnership in Ontario to make boaters more aware of the risks of cannabis use before or while boating. Safe Boating Awareness Week is the CSBC’s flagship boating safety media campaign, helping to kick off the unofficial start of summer and boating season, the May (Victoria Day) long weekend. Keep an eye on www.CSBC.ca for activity updates. These popular workshops will be facilitated by Dr. Gordon Giesbrecht, Professor of Thermophysiology at the University of Manitoba. The workshops are designed primarily to train those who serve as first responders or who work around cold water on how to rescue and treat potentially hypothermic victims. Registration information will be available on the CSBC website at https://csbc.ca/en/events/cold-water-workshop once details are finalized. In the meantime, contact Ian Gilson at igilson@rogers.com. 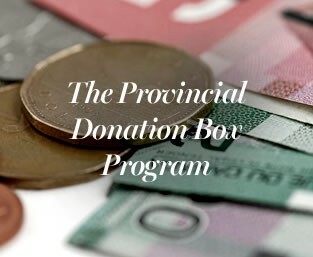 Once again, CSBC will participate in the Liquor Control Board of Ontario’s (LCBO) Donation Box Program. The purpose of LCBO’s program is to help generate funds for worthwhile community causes, such as CSBC’s. For the CSBC, your donations help us to keep bringing you messages and programs to support safe and enjoyable boating. The period in which CSBC will be involved is May 26 - June 22, close on the heels of the launch of Safe Boating Awareness Week 2019. We will be issuing a press release prior to the date, so stay tuned to our website www.csbc.ca. If you visit an LCBO store during this period, please make a donation, and encourage your friends to do so as well. Together, we are making a difference! When ships sink on the high seas, the truth of what happened is often lost to the depths. In Discovery Channel’s new Canadian series, Disasters at Sea, marine investigators track down new evidence to solve the mysteries behind the most devastating and unexpected real-life marine disasters. Each of the six episodes recreates a well-known marine disaster in part through the first-hand accounts of seamen and women on their worst day, and for some, their finest hour. Part of the allure of the series is beyond the actual disaster, it involves the changes and real-life safety recommendations that each disaster brings to enhance marine safety and make sure these disasters do not happen again. “The investigation of each disaster in our series has brought about change” , Kelly explained . “In each hour we learn about real-life safety recommendations that have been implemented to make sure similar disasters do not happen again. In many of our stories it was not only one thing that led to disaster, it was a series of things that went wrong and caused the loss of lives. In the MV Derbyshire episode we learn about bulk carrier safety and the importance of the design of hatch covers. In the SS Marine Electric episode we learn about the U.S. Coast Guard’s famous Rescue Swimmer program which trains rescuers to enter the water and save the lives of survivors who are not in lifeboats. In the MV Rockness episode we learn about the ship’s electronic charts and the importance of Voyage Data Recorder (VDR) data in an investigation. In the MV Explorer episode we learn about the importance of training ice pilots to navigate polar seas. And in the MSC Napoli episode we learn about cargo loading on container ships and how metallurgy tests can reveal hull failure. Overall, we learn about each vessel, and how they work, from iron ore carriers to rock bulk carriers, to container ships, ice vessels and fishing vessels. Disasters at Sea launches on Tuesday, April 16 at 10 p.m. on the Discovery Channel Canada, with its first episode , the “Coffin Ship”…. the MV Derbyshire, a bulk cargo carrier that sank September 9, 1980 in the South China Sea. CSBC Spoiler alert for the “Coffin Ship” episode: When an underwater image of the MV Derbyshire suggests the crew is to blame for the shipwreck, the families of the dead refuse to believe it and launch an intensive quest for answers. What the investigation uncovers not only clears the crew of blame, it also reveals a shocking problem that’s putting other lives at risk. This year’s annual symposium will focus on an emerging and critically important topic: the responsible sharing of Canadian waterways. With the explosive growth in recreational boating, fuelled in part by smaller, more affordable vessels, hundreds of thousands of new boaters are taking to Canadian waters each year. With this increased traffic, it is important that boating regulators, harbour managers, waterfront developers, boating organizations, marine enforcement and boating safety stakeholders take a proactive approach to developing educational strategies to ensure all boaters understand their responsibilities to share Canada’s waterways. In September managers of busy waterways, boating associations and government officials from across Canada and internationally will come together to share their challenges, experiences and solutions in managing this growing issue. Topping up the agenda, attendees will learn about current boating trends, see demonstrations of Canada’s Search and Rescue personnel in action, and be at the best place in 2019 to connect with boating safety leaders from government, industry and key boating safety organizations. 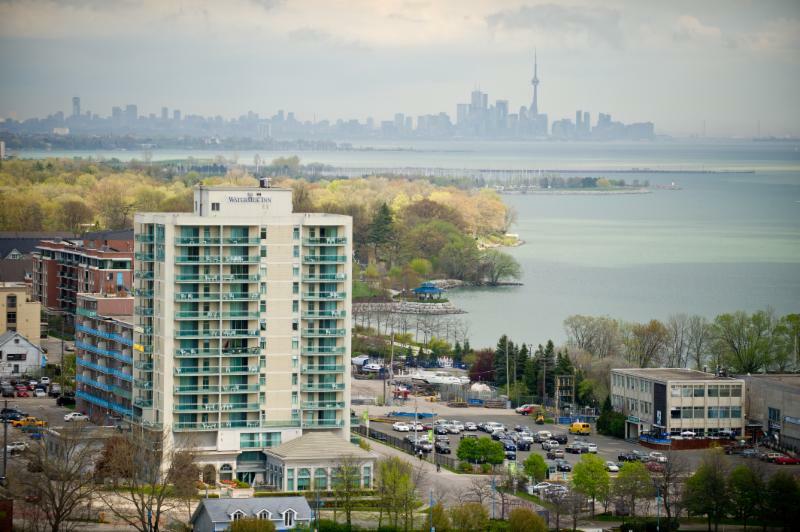 The host hotel, the Waterside Inn, is a boutique hotel located in Port Credit, Ontario. They have pulled out all the stops to make this CSBC Symposium an exceptional experience! Located in its very own village, on the north shore of Lake Ontario, the Waterside Inn is just a short hop to Toronto. This CSBC Shared Waterways Symposium is a must attend for 2019. For more information about the Symposium, a draft agenda and downloadable registration form… or to register online visit csbc.ca and click on the tab ‘EVENTS’. We look forward to welcoming you our Shared Waterways Symposium in Port Credit, Ontario in September 2019! 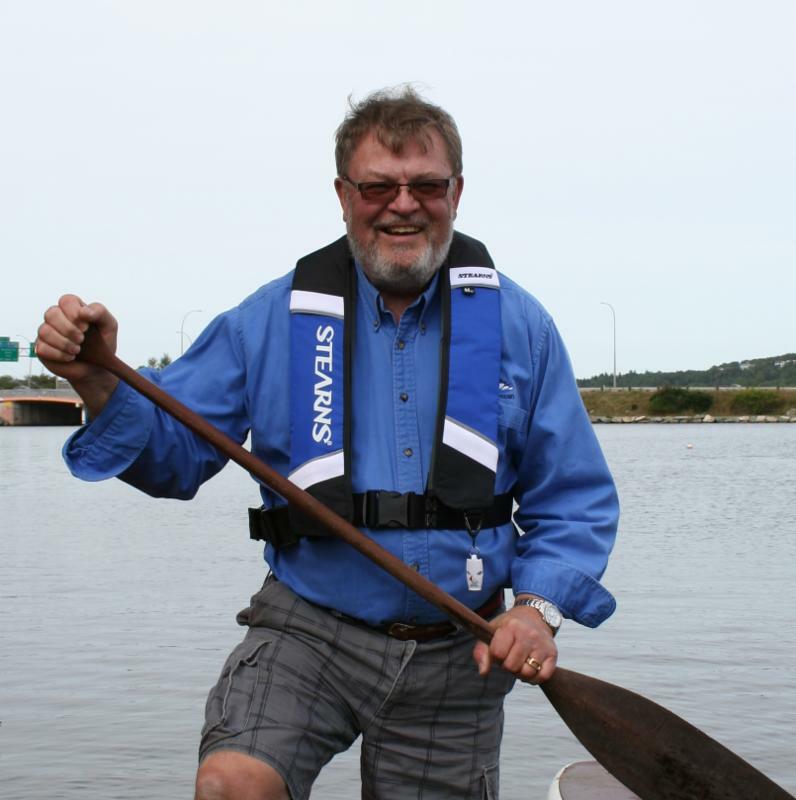 Latest news: Baz Kirk from Maritime New Zealand has now been confirmed as a speaker! The Quebec Maritime Association (QMA) has embraced a new name, the Quebec Boating Industry Alliance (Alliance de l’industrie nautique de Québec). The QMA has been the voice and advocate of the Québec pleasure boating community since its debut in 1996. It has created numerous projects, events and programs for its members, including the Montreal Boat and Water Sports Show and the annual Nautiguide, now in its tenth year of publication, which finds a large audience looking for key information on marinas and boating safety. The Quebec Boating Industry Alliance has a new corporate location, the Maison du nautisme (Boaters Home) at the Port du Plaisance Réal Bouvier in Longueil, on the south shore of the St. Lawrence opposite Montreal. The organization is offering new membership packages for 2019. 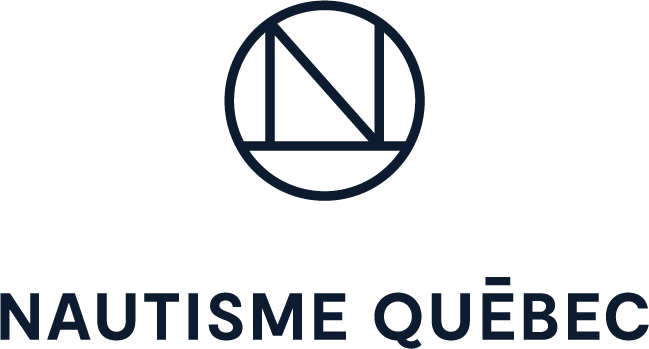 Nautisme Québec will be the public face of the Quebec Boating Industry Alliance, and is dedicated to the Alliance’s pleasure boater members. The new Nautisme Québec web site http://www.nautismequebec.com/index-en.php will give access to information on navigation and nautical tourism, events, tools and initiatives, and corporate members. It will include a blog, up to date information on boating destinations in Québec, a refreshed iNautique app and Facebook pages. 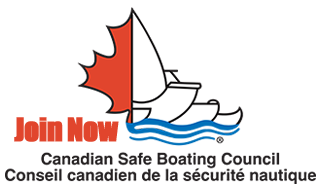 The Annual General Meeting of the Canadian Safe Boating Council will take place on May 22, 2019 at 1300, at the Courtyard Toronto Airport Hotel, 231 Carlingview Drive, Toronto. It is open to all CSBC members. The meeting will cover a number of subjects including a report on activities accomplished in 2018 and the election of officers. Come and spend an hour or so to learn of the great progress we have made in promoting safe boating and renew acquaintances with others like yourself who support our goals. The National Canadian Marine Advisory Council (CMAC) meeting will take place on April 16 and 17, 2019 at the Ottawa Convention Centre, 55 Colonel By Drive, Ottawa.